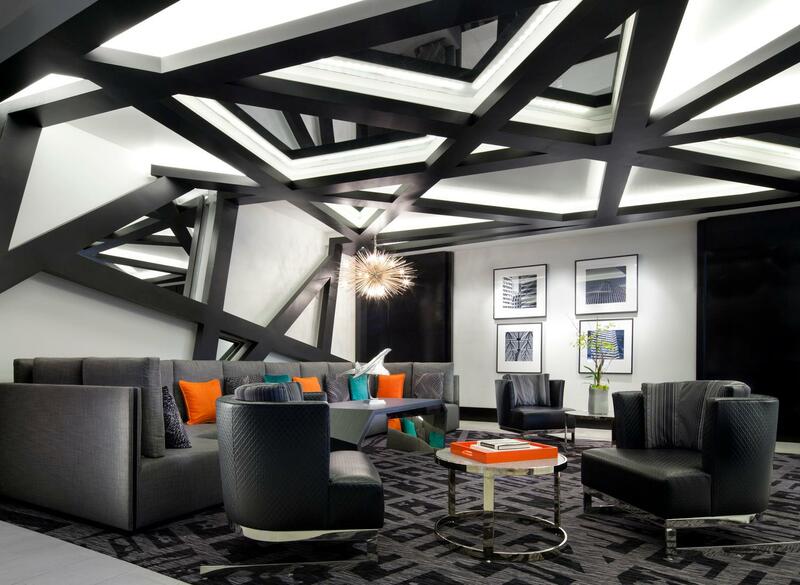 Le Méridien San Francisco is a luxury hotel located in the heart of the Embarcadero shopping district. Our hotel is connected by a landscaped pedestrian bridge to the historic Federal Reserve Building, and the shops, entertainment, and cafés of the dynamic Embarcadero Center. 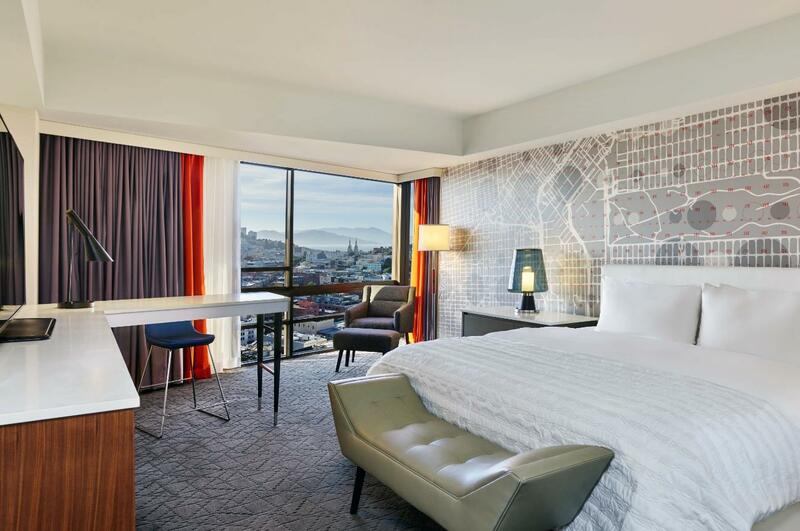 Le Méridien is also steps away from San Francisco’s main leisure attractions such as Chinatown and the California Street cable cars, with easy access to Union Square, Fisherman's Wharf, Ghirardelli Square and San Francisco’s Ferry Building Marketplace. The guest rooms are spacious and many offer sweeping views of the bay as well as the city. The rooms have an attractive, contemporary décor and appointments with fine furnishings. Accommodations are 100% non-smoking and are equipped with wired and wireless highspeed internet access, plush robes, beds with 300-count Frette sheets, down duvets, Nakamichi stereo/CD player or I-pod/I Phone docking station. A spacious 413 square feet room with modern decor, marble bathroom, CD player with IPOD input, and plush pillowtop mattress. An accessible 413 square feet room with modern decor, marble bathroom, CD player with IPOD input, and plush pillowtop mattress. A spacious 413 square feet featuring full bay view, modern decor, marble bathroom, and a CD player with IPOD input. A spacious 413 square feet featuring panoramic bay view, modern decor, marble bathroom, and a CD player with IPOD input. An inviting 585 square feet room featuring a panoramic bay view, sitting area, marble bathroom, and CD player with IPOD input. A luxurious 605 square feet of corner space featuring a living room, seperate bedroom, marble bath and choice of a balcony or jacuzzi tub. Additionally, complete your stay by keeping active at our onsite fitness centre, which features a variety of cardiovascular and strength-training equipment. As our guest, you are also offered access to Club One in Embarcadero Center or swimming at the Bay Club for a fee. T-Mobile® HotSpot Wireless Broadband Internet is available in all public areas, ensuring instant connection when needed. A professional staff and superior facilities, including onsite catering and audiovisual resources with state-of-the-art telecommunication services, provide support for all your conference needs. The premier choice in the downtown area for your next executive conference, meeting, or retreat. Exquisite settings and unparalleled service define the dining experience at Le Méridien San Francisco. Chic and sophisticated, Bar 333 invites you to embark on a journey infused with Mediterranean flavors and a hint of contemporary flair. A treat among San Francisco restaurants, Park Grill delivers not only spectacular food but also supreme service that defines our reputation worldwide. Elegant surroundings are enhanced by beautiful views of San Francisco. Our Executive Chef brilliantly combines market fresh cuisine and tantalizing tastes to create a menu full of creativity and style. To complement your meal, our knowledgeable staff can assist you in choosing a wine from our extensive list, featuring the best wines from local Californian vineyards. In addition, you can dine in the garden setting of its outdoor terrace, surrounded by spectacular views of the city. 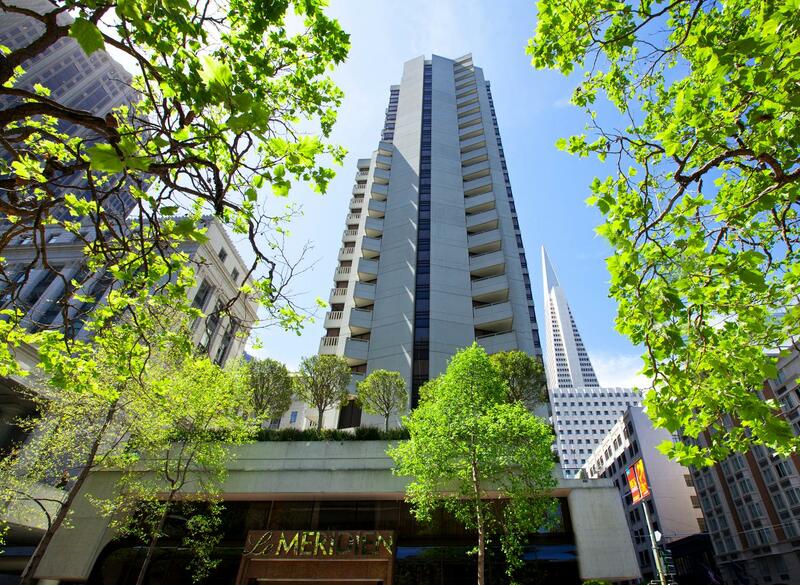 Le Méridien San Francisco is a luxury hotel located in the heart of the Embarcadero shopping district. Our hotel is connected by a landscaped pedestrian bridge to the historic Federal Reserve Building, and the shops, entertainment, and cafés of the dynamic Embarcadero Center. 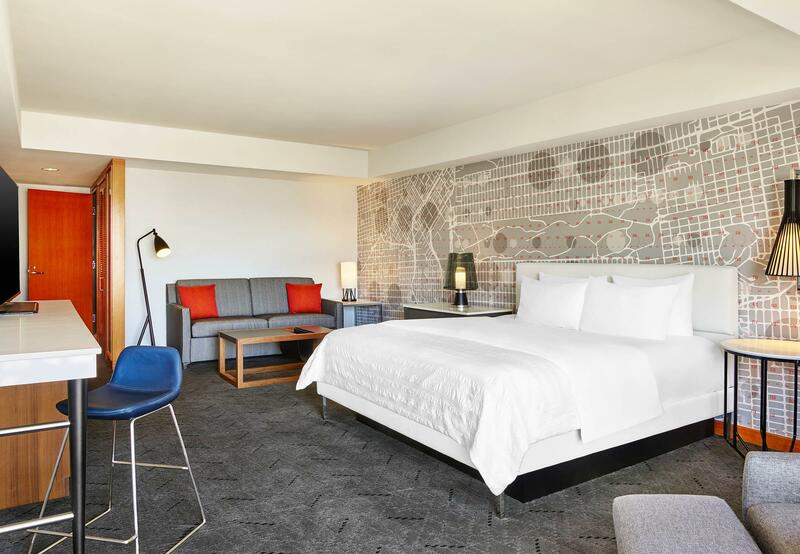 Le Méridien is also steps away from San Francisco’s main leisure attractions such as Chinatown and the California Street cable cars, with easy access to Fisherman's Wharf, Ghirardelli Square and San Francisco’s Ferry Building Marketplace.